That is the rule. There are, it is important to keep in mind, a variety of exceptions to the statute of limitations that may shorten or lengthen this three-year statute of limitations to file a lawsuit that applies to most, but not all, personal injury cases. If you are unsure about the applicable statute of limitations in Maryland, you should contact a Maryland lawyer immediately without delay because the clock is ticking. There may also be notice requirements, particularly against local municipalities, the state of Maryland, the federal government, or any related governmental entity, that require specific notification of particulars of the accident and your claim. Medical malpractice claims are a different animal, as well. There is also a different deadline to file claims for personal injury protection (PIP) benefits in Maryland. (Conversely, wrongful death lawsuits are often more than three years after the date of the negligence because the relevant time - subject to exceptions - is when the victim died as opposed to when the negligent act occurred.) But the moral of the story is clear: these deadlines to file suit can be extremely harsh, and you should contact a malpractice or injury lawyer immediately for professional legal advice applicable to your situation. That said, there are four exceptions that can prolong the period to file suit if you find yourself with a personal injury claims for which the statute of limitations has passed. The first and most frequently discussed is the discovery rule. Under the discovery rule, an action accrues on the date when the plaintiff knew or reasonably should have known of the negligence and the harm that ensued. The time to file is suspended or tolled if this rule is applied. This exception also has exceptions, most notably in medical malpractice case where the outer limit from the date injury is five years, regardless of when the injury was discovery (an awful, draconian rule the medical malpractice insurance lobby was able to push through the Maryland General Assembly). 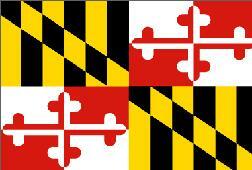 The second “back door” to the harsh deadline to file suit in Maryland is the continuation of events theory. This theory may apply in cases where there is online of services, or the party's right depends upon the happening of an event in the future. In these cases, the statute of limitations in Maryland may begin to run from the time the services can be completed or from the time the event happens. The third exception is fraud. If the negligent party fraudulently conceals knowledge of a cause of action, Maryland law provides that the cause of action accrues at the time when the injured party discovered (or should have discovered) the fraud. The operative word with these deadlines to file and all its exceptions is “usually” or in most cases. There is a book of exceptions that shorten and lengthen the date before which you much file your lawsuit. Again, and we realize we are beating a theme dead here, if you have any question about the statute of limitations in your case, call a Maryland lawyer to figure out the exact statute of limitations in your case. You can call our attorneys - and get one on the phone - at 800-553-8082 or get a free online consultation here. Section 9-304(g)(1) of the Maryland Courts and Judicial Proceedings Article requires that a wrongful death claim is filed within three years of the date of the decedent's death. The question has arisen as to whether a wrongful death claim would be timely if the statute of limitations would have passed on the victim's claim had the victim survived. The Maryland Court of Appeals has ruled that the time limit contained in §9-304(g)(1) is the only timeliness provision applicable to wrongful death claims in Maryland. Accordingly, the limitations period prescribed in the general tort filing period in § 5-101 and the malpractice SOL contained in § 5-109 is not applicable. Lawyers charge contingency fees that cost a lot of money. There is no question about it. Why you still should get counsel in a severe injury case? Gilroy v. SVF Riva Annapolis LLC: A look at Maryland's statute of repose and the four exceptions to the rule outlined in CJP § 5–108(d)(2). Mummert v. Alizedeh, 435 Md. 207 (2013). Maryland Court of Appeals referenced above that only §9-304(g)(1) dictates the limitations period in wrongful death claims. Doughty v. Prettyman, 219 Md. 83, 148 A.2d 438 (1959). This case discusses why we have a statute of limitations in the first place although it does a poor job of justifying why common sense exceptions are not made when justice calls for it. 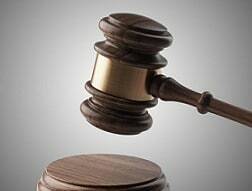 In this case, the defendant had clear notice of the intent to file the lawsuit, but the court still afforded the defendant the cover of what in a sense is a technicality. This case stands for another important principle that is also discussed below in Turner: Maryland's statute of limitations applies to a tort occurring out-of-state because statutes of limitations are procedural. Turner v. Yamaha Motor Corp., 88 Md. App. 1, 591 A.2d 886 (1991). Like Doughty v. Prettyman discussed above, this case is a Virginia accident where the claim is brought, and Maryland and the court wrestles with how to apply the statute of limitations. Anderson v. United States, 427 Md. 99, 46 A.3d 99 (2011). In this case, a woman sued a VA hospital for failing to diagnose symptoms of progressive spinal cord compression. The question in the case is whether the medical malpractice limitations period is a statute of repose or a statute of limitations. The distinction is normally semantic but was critical in this case.